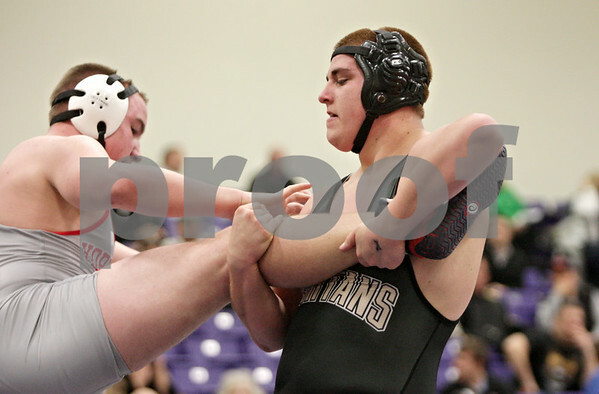 Sycamore's Martin Malone (right) holds the leg of Yorkville's Tyler Caldwell in their 220-pound match during the Class 2A Rochelle Dual Team Sectional on Tuesday, Feb. 19, 2013. Malone won the match with a 10-5 decision. Sycamore defeated Yorkville, 30-28.